Understanding someone who belongs to another species can be transformative. No one knows this better than author, naturalist, and adventurer Sy Montgomery. To research her books, Sy has traveled the world and encountered some of the planet's rarest and most beautiful animals. From tarantulas to tigers, Sy's life continually intersects with and is informed by the creatures she meets. 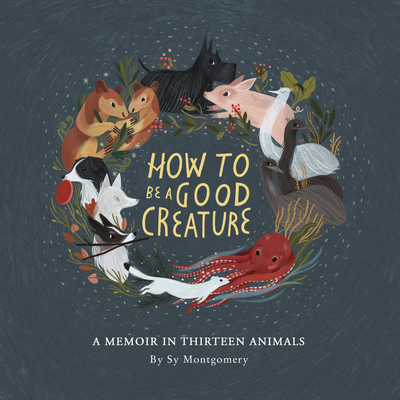 This restorative memoir reflects on the personalities and quirks of thirteen animals-Sy's friends-and the truths revealed by their grace. It also explores vast themes: the otherness and sameness of people and animals; the various ways we learn to love and become empathetic; how we find our passion; how we create our families; coping with loss and despair; gratitude; forgiveness; and most of all, how to be a good creature in the world.